If your own front bencher cries foul a la ‘branch stacking,’ and the majority of cabinet vote against your position on not allowing a conscience vote (doesn’t matter on what) where does that leave your legitimacy as the leader of a party historically premised on freedom of expression? That this socially out-of-step outcome comes on the heels of the messy putsch of Bishop, it really looks like payback against the wets in his own party, and the ALP. And what of the promise of a plebiscite or referendum on gay marriage? Anyone remember how Abbott miserably conducted himself during the referendum on a republic in 1999? Oh, and do you recall which side Turnbull was on? You can be assured that Abbott will do everything in his power, no matter what office he holds in public life, to undermine the ‘Yes’ vote. This is the guy, the Minister for Women no less, who awarded the bumbling Prince Philip a knighthood on Australia Day, thus undermining the focus on this year’s Australian of the Year, Rosie Batty; possibly one of the most important women in Australian history. 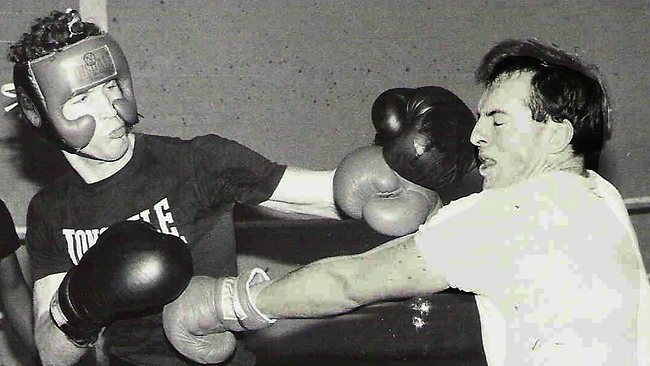 The Australia Day debacle was Abbott in full flight as the mad monk. Abbott still is the mad monk. People don’t change this late in life. Abbott suffers from a rare diagnosed mental health disease that answers to the clinical name, Captain’s Pick Syndrome. Sufferers exhibit various symptoms which include a pathological inability to exercise sound political judgment, rash decision making, despotic tendencies, and a chronic case of passive aggression. On a more serious note (was I joking?) I think this is the beginning of the end for Abbott. He desperately wants to change, but only for the sake of holding onto power. But, his behaviour is governed by his gut instincts, not his head, and you can’t run a country like that. Abbott is a time bomb who like Rudd is his own worst enemy. The ALP needn’t do anything for now, other than sit back and enjoy the vaudeville show that is the Abbott government, about to implode.